Children's Sunday School for the 2018-2019 year will begin on September 9th when the young people will join with the adults to pack School Kits for Lutheran World Relief on God's Work, Our Hands Sunday. Because of generous donations, we have enough school supplies for approximately 200 School Kits. We have three Primary Sunday School classes. Tim Gerber is teaching the Jr. High class, Tara Swihart is teaching grades 3 - 6, and Nancy Schneider and Pat Landis, take turns teaching the Preschool thru Grade 2 class. We currently have eight children attending regularly. 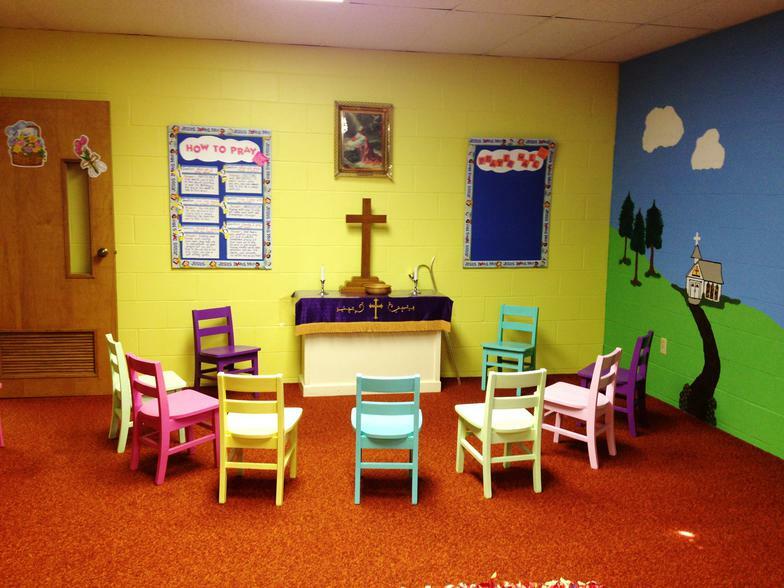 Primary Sunday School is held twice a month on the 2nd and 4th Sunday at 9:30 to 10:20 AM. We have an opening where we light candles, sing songs, have an offering, a short story and close with prayer before going to our classes. We are using "SPARK Activate Faith". Everyone (children and teachers) enjoy using this material. Some of the activity highlights for the last year include helping to assemble the LWR School Kits, Donating our weekly offerings to families in need and the Salvation Army. Gifts were presented to mothers and fathers of the congregation on both Mother's Day and Father's Day. The children interviewed the adult members of the congregation to find out what was their favorite "thing" about Christmas and presented a short Christmas Play. We are planning to take part in "Youth Sunday" in May of 2018. Children of all ages are welcome to join us on the 2nd and 4th Sundays of each month at 9:30 AM to learn about God's love and enjoy Christian fellowship. The Primary Sunday School is located in the rooms under the Social Hall. . . . .use the Social Hall entrance, go left, and take steps to lower level.